Welcome to Casa Nuevo Viejo - (new old house) - this house name is inspired by the intentional construction of turning a ruin into a new house with old world details - the Cantera floors, stone walls, beautiful details ironwork - are displayed throughout the house, but with added details like radiant heated floors, water purification, comfortable furniture. It all has an old world feel with new world details. 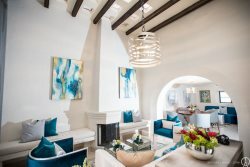 Come - step back in time with Casa Nuevo Viejo. The house is in a fantastic location - only a 5-minute walk to the main square or to the Parque Juarez - it's on one of the most desired streets in San Miguel De Allende. The house has 4 bedrooms and is on two levels with a rooftop on the third level. The house really integrates indoor outdoor living with many terraces for you to enjoy the views of San Miguel. The first two bedrooms are on the main floor - they both sit towards the back of the house, so no bedrooms are located on the street level. The first bedroom has twin beds that can convert to a king and ensuite bathroom. The second bedroom on the first floor has a Queen bed and ensuite bathroom. There is the main kitchen and living spaces are on this main floor, but you also have separate spaces on the second floor with another "mini" kitchen and sitting area flanked by the bedrooms on either side of this common space. Both of these bedrooms have Queen beds and ensuite bathrooms. There is also an outdoor terrace that connects this space. The TV on this floor opens to another terrace and that looks to the street below. 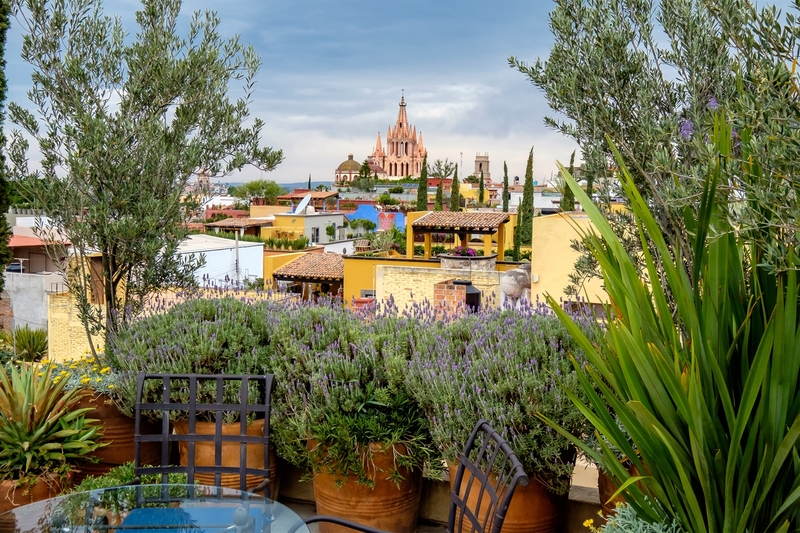 The top terrace located on the third level is accessed off the second floor terrace - here you have some lovely views of the Parroquia and surrounding neighborhood. There is seating up there - great place for afternoon cocktails. Casa Nuevo Viejo is a gem in centro - and would be a great house for 2-3 couples. There is a full time maid Monday-Friday (9am-3pm). She can prepare a simple breakfast, as well as help with grocery shopping, etc. The gardner is there 3 days a week.